How often should I pump my septic tank | J.J. McLellan & Son "
The septic system for your home or business is designed to operate efficiently on its own for many years. There are a few factors that will determine its effectiveness of operation. • Do not put any unnecessary “Septic Tank” chemicals down the septic – a septic system is designed to do the work itself. • Do not pour any household chemicals down the drain or toilet – especially bleach, paint, solvents, paint thinner, nail polish remover etc. All of these will disrupt the natural chemical balance in the septic system. • Do not pour oils, grease or fat down the sink or toilet. • Do not put any Feminine products into your septic system. • Do not use excessive amounts of water in one or two days – spread the use over the week. • Do not leave leaky water taps or toilets – this can accumulate to gallons of water entering your system unnecessarily. 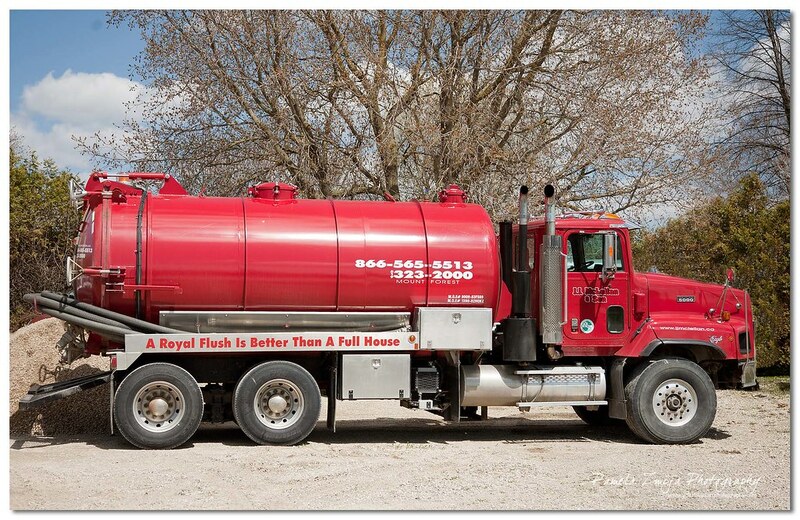 • Do not drive any vehicles or large equipment over your septic tank or pipes – this will cause major damage. • Do not plant any trees or flower gardens in, on or too close to the weeping bed. • Do not build over your septic tank or weeping bed – if there is ever a problem OR when your tank needs to be pumped this will cost extra and may need to be removed or damaged to do the repair/pump. All of the above issues can lessen the effectiveness of your septic system and cause pre-mature blockages or backups. Depending on how many people live in your home you should check your septic tank yearly to ensure there are no visible blockages going out to the weeping bed and to ensure the “sludge” level is manageable. As the sludge level “solids” increases in the tank, the effectiveness of the tank to breakdown lessens due to the smaller capacity. The septic system is designed to work as a system with the tank and bed by breaking down the biologicals before the liquid wastewater goes out to the weeping bed for proper drainage and treatment. . The average time between pumps for a typical household of 4 people would be approximately 3-4 years. This is in ideal conditions where none of the above “What NOT to do’s” are being done.If you have more than 4 people in your home you will need to consider pumping more often, as well the opposite if you have less people you could get by a couple/few more years before needing to pump. It is important in the Spring to keep an eye on water levels in and around your septic system. With snow melting this can cause excess water in the system. Excess water in the system will disrupt the natural abilities of the septic system to properly decompose before the wastewater flows out to the septic bed. If a tank is left too long between pumps the sludge or solids, can begin to clog the outlet to the weeping bed or worse clog parts of the weeping bed. When this happens the water and solids have nowhere to go and this is typically when sewage back up’s occur in the home. When in doubt always call a professional – ensure that when you do call and book a cleaning they are removing all liquid and solids from your tank!